You might wonder why I would go around screaming my own name like that, but actually it is the name of the pattern that I use for my new top. 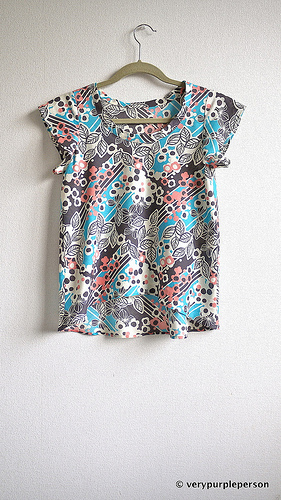 The fabric is Kokka cotton that I bought in Swany, Kamakura, it was on sale and only 1.3 m left. 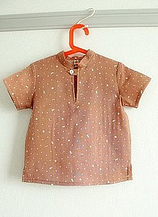 The bias-cut top pattern is from Tamanegi Kobo, and yes, it has the same name as mine: Novita. Isn’t that awesome? Although that is the most awesome thing (for me!) about the pattern, it isn’t the only one. 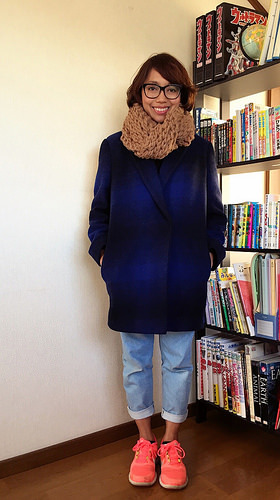 The pattern is sold as multi-size PDF pattern, just like Burdastyle pattern. In multi-size pattern, each size is usually differentiated by different types of lines, and it is kinda hard trying to figure out which lines belong to my size; is it the dotted one, the dashed one, the dotted-dashed one? 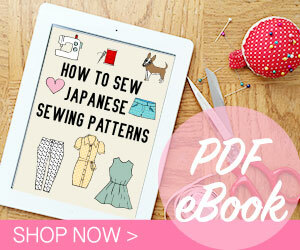 But I really like how this pattern makes use of the layer feature in PDF files. It means that every size is stored in different layer that can be turned on or off. I only had to turn on the layer of my own size, printed it out and got myself a clean and easy to see pattern of my own size. I don’t need those other sizes in my pattern! 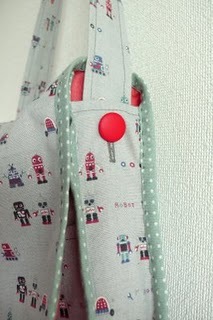 The other awesome thing is the pattern instruction. Despite two years living here, I still can’t read Japanese (-_-), but the drawings are so clear and logical that I only need to look at them once to understand the whole construction. The pattern is also very well-organized with every seam allowance mitered at the corners (I love this! 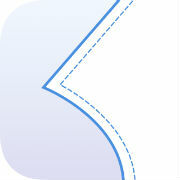 ), and each helpful notches are in the right place. I usually want to alter or change a bit about a pattern, but this pattern is so well-organized that I wanted to follow all the instructions without straying a little bit. 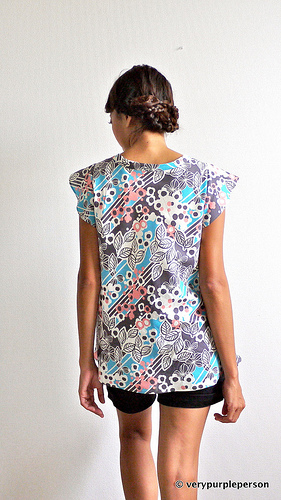 The finished top is indeed beautiful with such a simple shape, and it is also comfortable like a T-shirt. So here it is: Novita in Novita! I know it’s silly but it makes me happy! Pattern is Novita from Tamanegi Kobo.